Why limit your potential field of buyers? Why not? His choice. Full Throttle is really fun game too. This is a hell of deal. Me too! Post some pics OP so we can drool a bit! How about $8500 for BSD and Tron? Seriously though, GLWS and here's a bump. As a previous Full Throttle owner, I can honestly say it is a fast and fun pin. I didn't have any trouble with mine thankfully and that was before the Alien fiasco. I am willing to sell Full Throttle separately. If FT sells separately, I will keep BSD. More pics soon. This has got to be tough. It is a shame that Full Throttle is not more desirable. Fun game but real hard to sell at relatively low prices considering original price. I understand the package idea..Good luck either way. GLWS but I’m confused....why can’t someone buy the BSD if they want it? Lol, to get this super nice BSD you have to take on a heighway pin. Not a bad price for both but definitely a little strange. He added photos. It is gorgeous...and I am drooling. wow that full throttle is real good property. This guy is willing to sell his prized bsd to unload his full throttle. Any pics of the front cabinet ? Added. Lighting was weird, I can get better ones later. I'm sure those windows are UV treated but still- worth a quick giggle. 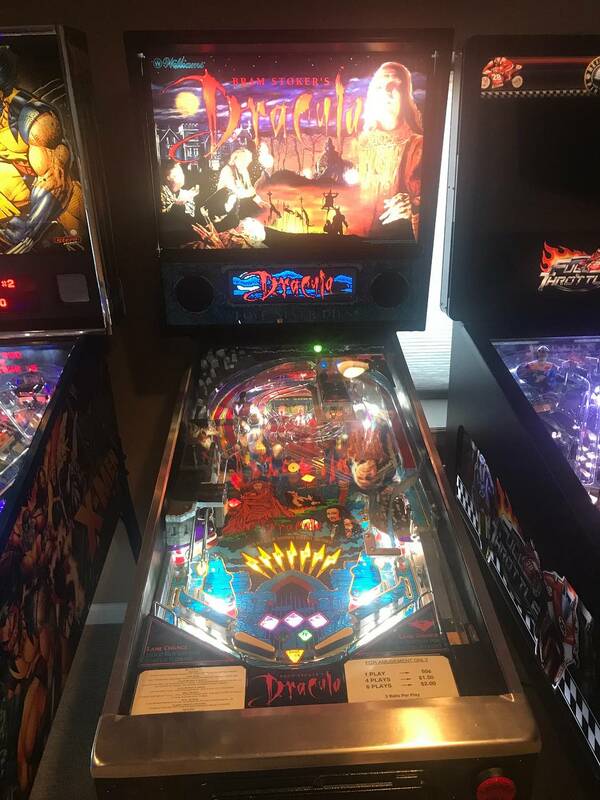 wow, dracula is a $4200 game now????? For a perfect one, yes, easily. Counting the color DMD, the price listed is very fair for a HUO BSD. But yeah, a very nice BSD like this is easily worth 4K if players BSDs are getting around 3K. I think restored BSD values will be going up once Micro gets the playfield released and people start restoring the games. We now will have new ramps, plastics and playfields. 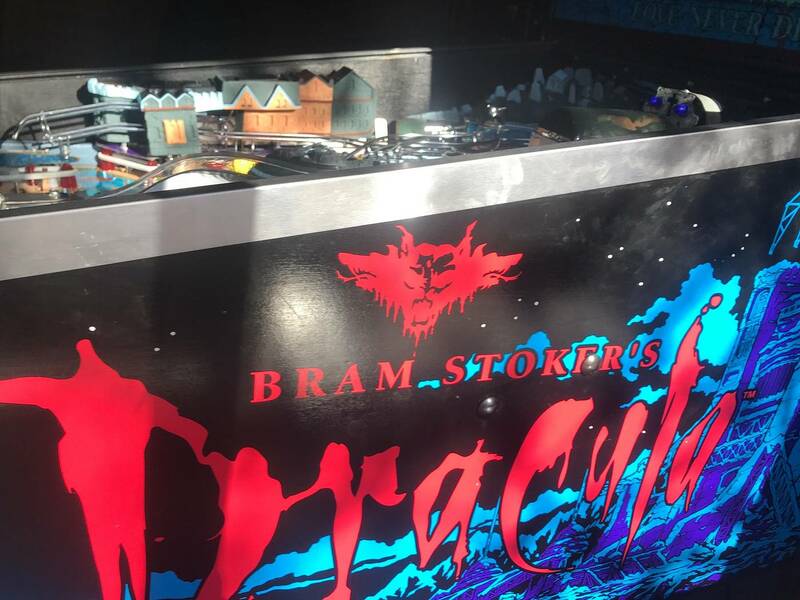 People are also discovering/creating in Dracula value that hadn't been realized before. Replyability off the charts in a DMD era game without modes (which cause many games to get stale eventually). Pinsound.. I would think that Full Throttle would do really well on location. I enjoy playing it when I can. It wouldn't take long to pay for it at this price. There is a shade on the window, but it was up for the pictures. Normally, it is down. No fading concerns. Pffff. And the price pumpers have arrived!! You have to love all the BSD owners in this thread. Hellllll no. Don't listen to all the BSD owners commenting on value of a game they own and have a vested interest in. A bit of effort but for those wanting the BSD... find a friend or someone near your area interested in the Full Throttle at a great price. (Craigslist?) Take advantage of the 2 for 1 shipping deal and you both split the cost. 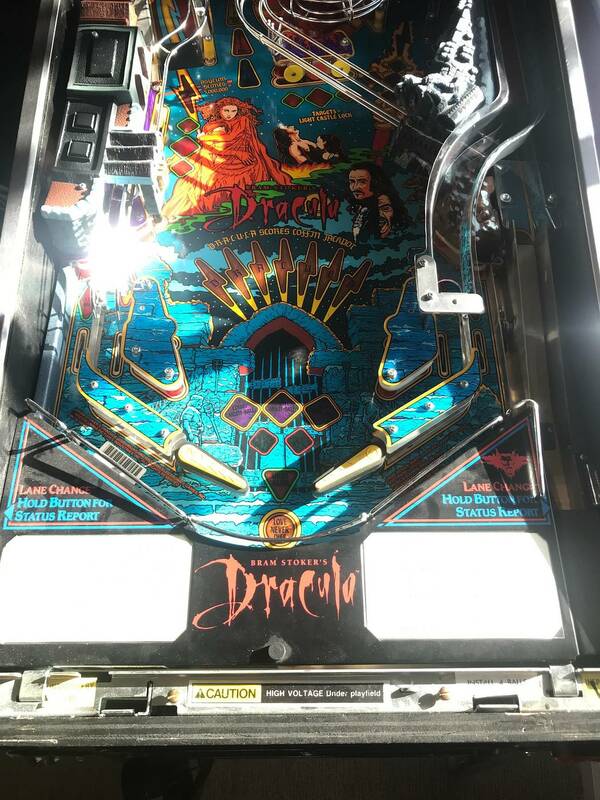 Or, if you want the FT, do the shipping 2 for 1 deal and then sell the Dracula at a marked up price. $5K as has been suggested. There's a variety of ways to go about this. 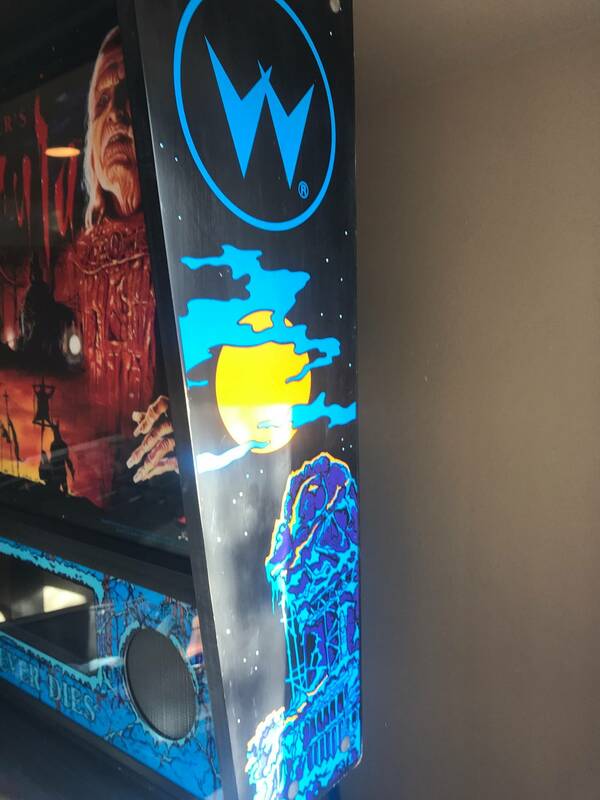 I love to see creativity like this especially when it sets Pinside on tilt. He's a creative seller, consider being a creative buyer. I'd say the price is very fair. No one is price pumping, assuming it is HUO and comes with a colorDMD. GLWTS. 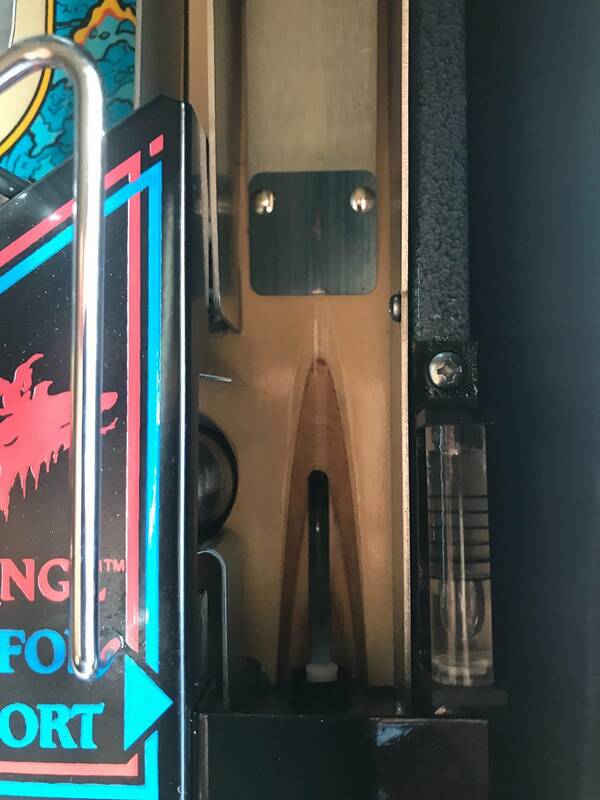 You may want to include pics of the video lane (common wear area) and the shooter lane and inside of the cabinet to put a cherry on top of this. Are there BSDs that are worth 4200? Yes, certainly. A game in extremely good condition is worth a bit more than your average game. If you deny these things, you are just not trying to buy and sell games very often. I looked for a nice BSD for years and gladly overpaid (according to you) for it. You want to buy mine for what I paid for it 3 years ago? Apparently not since the only reason I paid what I did was to try and accomplish some price pumping... whatever the hell that means. People pay whatever they want. If a barcade pays crazy money for an arcade (like a Tapper for 3 grand), are they price pumping that game? Of course not. If supply and demand = price pumping then I agree with you. Is your definition of price pumping just blindly saying a game is worth more just to attempt to sell it for more money? It doesn't really work that way. Are you implying that a game that people say is better than it really is will increase the price of that title? 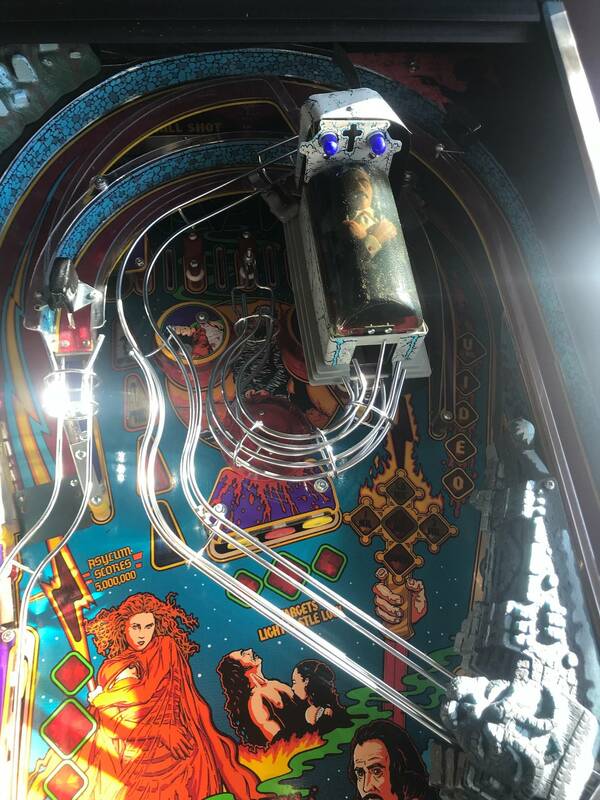 That could be true over a short period of time but eventually knowledgeable pinball people will reveal the truth of how much replay value there really is after ownership. See here, I sold a Slugfest for 2800. Are all of them immediately worth that much? No way. 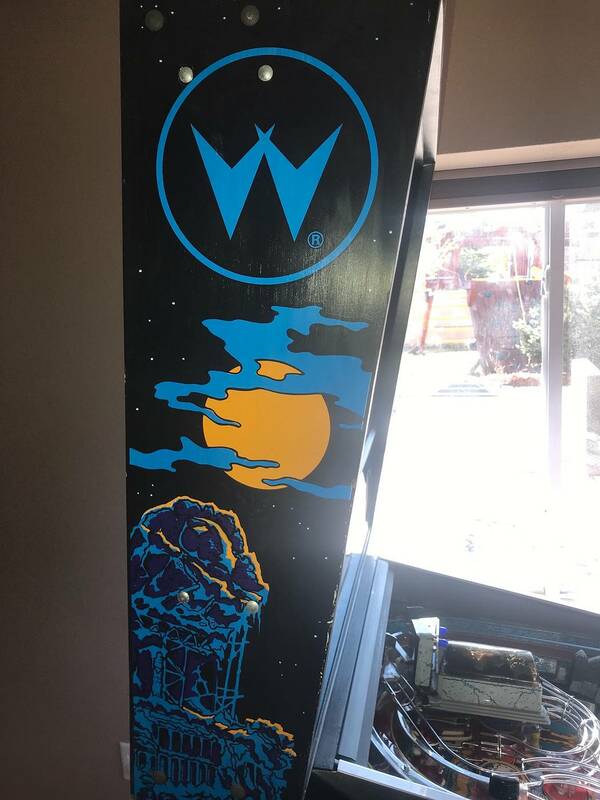 Is a HUO one with a Bally distributor's receipt of sale worth that much? Probably so, and I know a few people that would likely pay more for it. Will that incrementally make all Slugfest's immediately go up $50? I don't think so. Things go up because as time ticks along, those items get harder to find in good condition and people end up paying more for those items. It's quite simple. 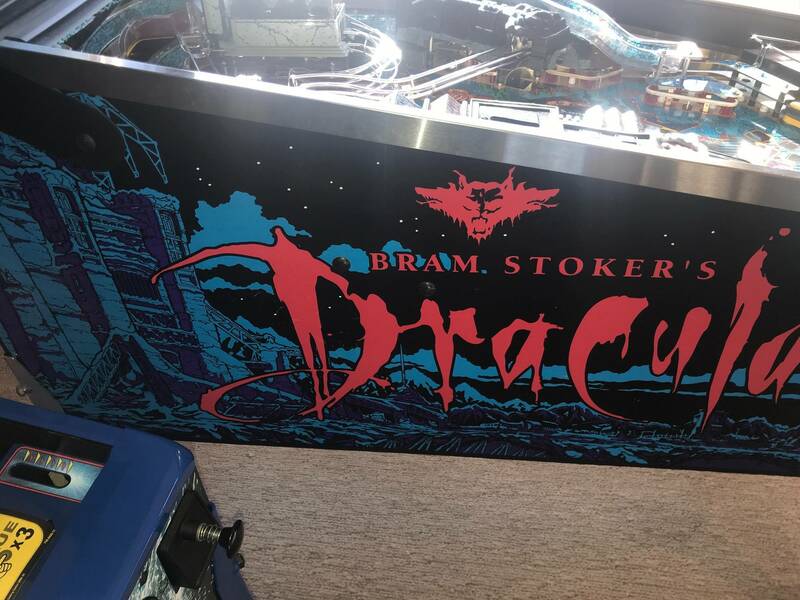 Specifically in the pinball world, when a repro play field is announced, that game sees a small increase in demand, but when that play field is actually released and you can buy one, the game really sees a surge in demand and that in turn makes the price go up very quickly. It trails off once those restored games hit the market and as time ticks on, sometimes the price creeps back down close to where it was before that particular play field was announced. It doesn't matter if you own a BSD. 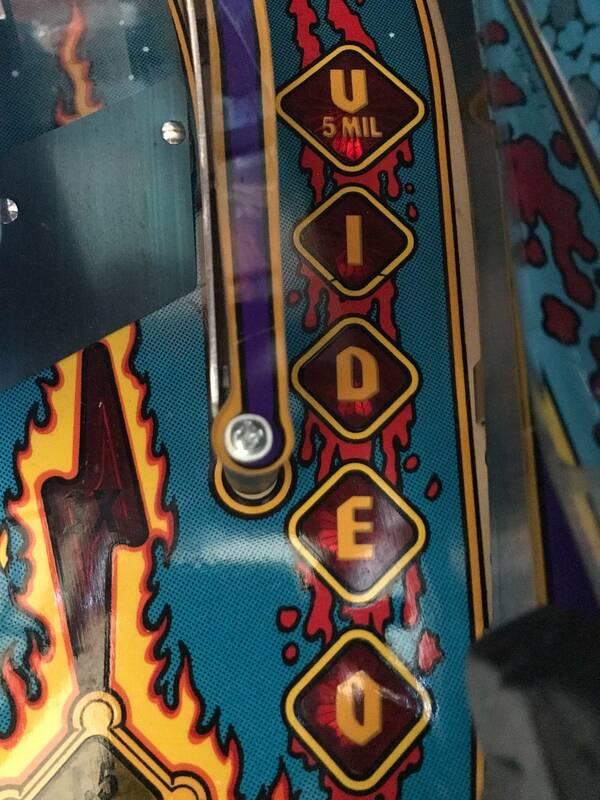 The above examples hold true for ANY PINBALL TITLE. Price pumping must be the term people use that do not understand the dynamics of a collectible market over a given period of time. One other fact. A routed and unshoped BSD listed for 2650 in the Pinside marketplace yesterday, sold in about 30 minutes. I feel that any decent BSD listed for 3k on Pinside would sell in a day or less. That's just the market demand for the title. Nothing wrong with making a profit on a game that you have owned for a while (or even recouping some loss on a game you purchased with a package deal). Around 4K seems like a reasonable price for the title in this condition. 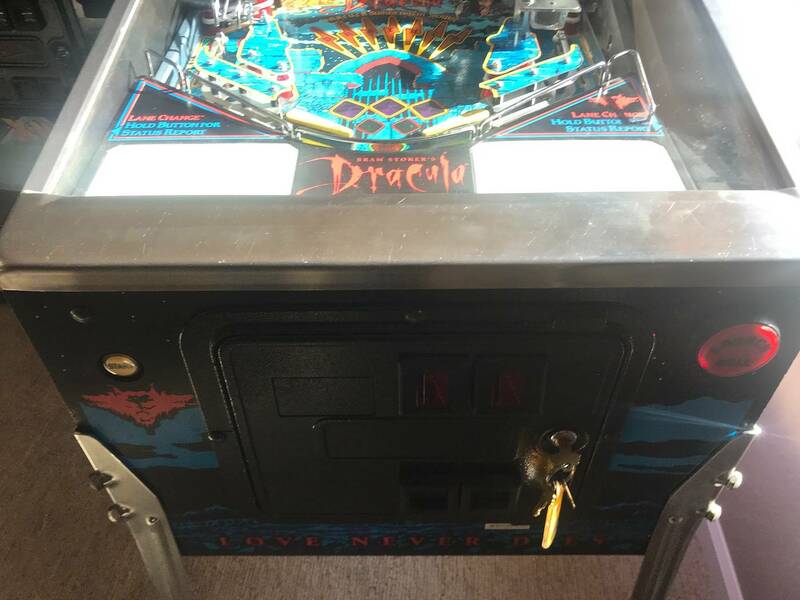 It is pretty obvious in this case though that the seller is trying to move a game that is a hard sell for him with one that is extremely popular right now. Best of luck to both parties!! As requested, pics of shooter lane and video lane added. People are looking for a pic of the video lane above the inserts where the ball lands. Nice looking Bsd. GLWTS ! Jesus! That is a virgin shooter lane!!!!! I have played this game, and I think this example is as close as it gets to original factory fresh minty new. To get any closer I think you would need a DeLorean, 1.21 Giggawatts, and 88mph. After lots of discussion, I’ve decided to separate BSD and Full Throttle. BSD will be $5000, FT will be $4000. $8250 for both. 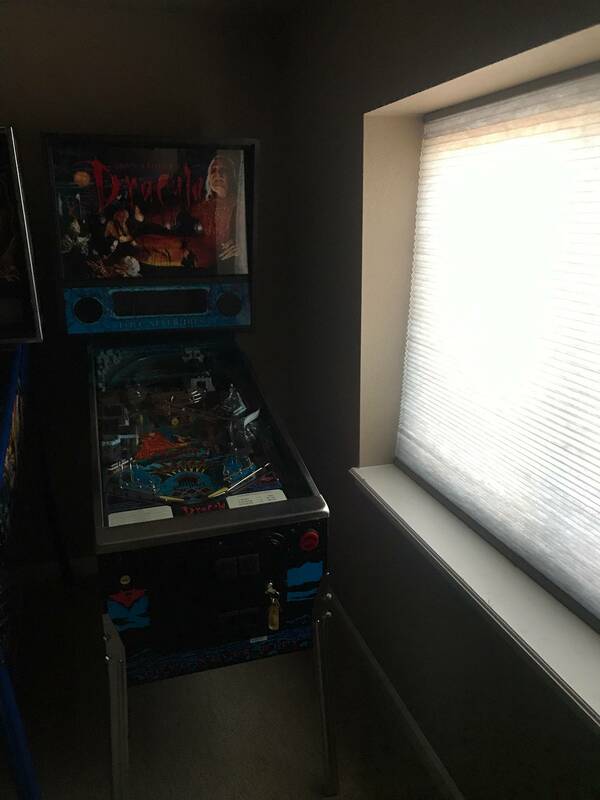 Picture attached of game room with shade drawn. I was thinking more like $2400-2800!! Thats what they were a year and 1/2 ago! 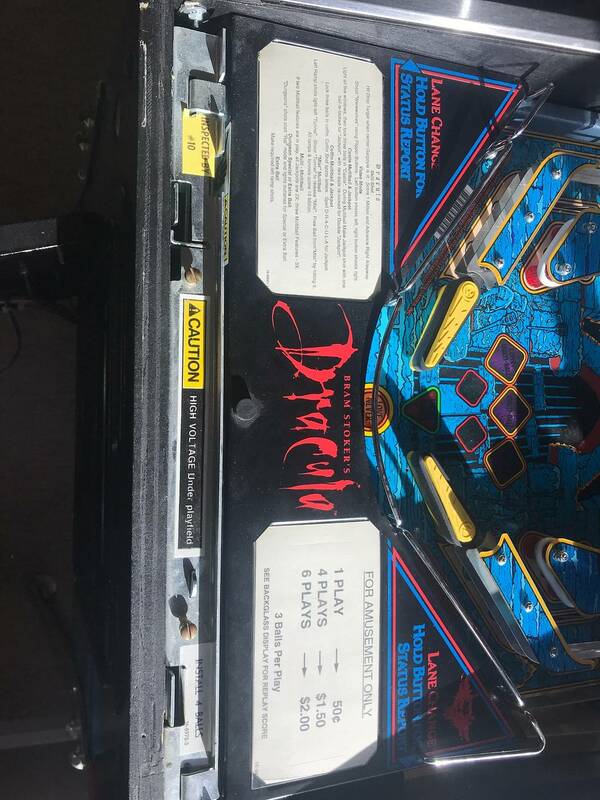 With the color dmd and condition thats way low...thats what a stock faded players machine is priced at now. Im not sure what price it will sell at , but anything under 4k and it wld of sold super quickly. I know HUO gets tossed around. Is this game documented HUO or are you using it as a generic term for a nice condition game? Does it have all the documents that came originally? Goody bag in place? Sales receipt of purchase? It’s a handful of dark pics and people are a little too enthusiastic. No pic of in cabinet or in the head of boards. 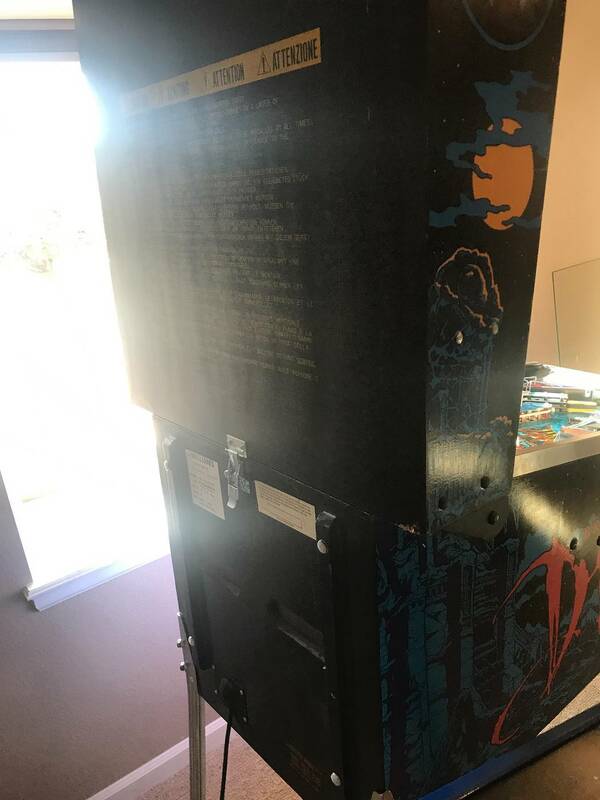 Not even the flipper buttons. I’m sure it could be nice but at 5k is top dollar and should have all the usual photos that a true HUO game would present. GLWS. $5K isn't top dollar for a solid BW DMD classic anymore. Especially when Stern jacked their market prices up.